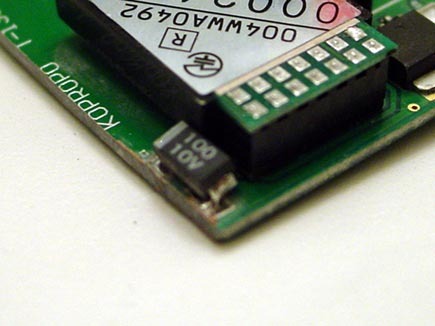 So we have done the KO Propo AD band conversion already. It was a very easy and quick modification. 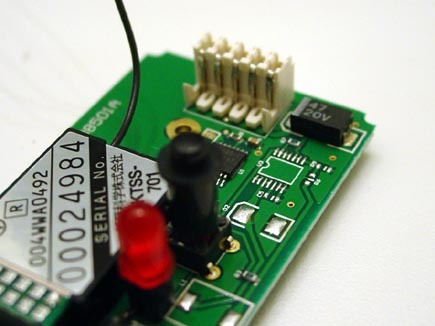 So can the new 2.4GHz modules be converted? The answer is yes! 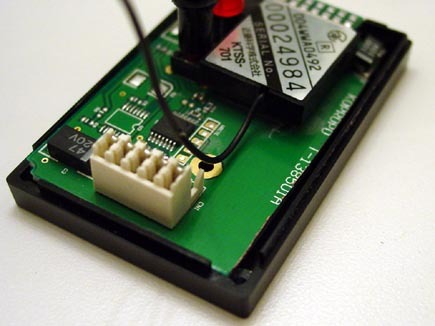 This time, the modification is slightly more complicated to do, but if you consider yourself to have intermediate soldering and dremel skills you should have no trouble completing the conversion. To start off I always like to gather the tools needed for the conversion kit. 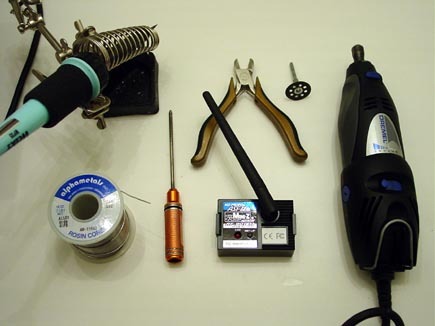 In this case, I am using a soldering iron, some solder, wire cutters, a diamond cutting wheel, a phillips head screw driver, a dremel and finally, the module. Along the way you may find use for an Xacto knife and a pen/Sharpie as well as some double sided tape. 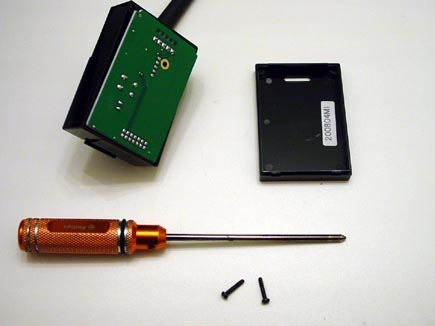 To achieve the modification we must take the module apart. 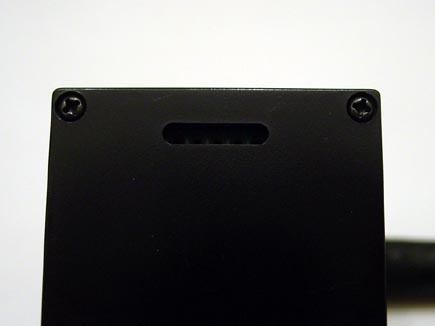 Remove the two screws on the bottom of the case. 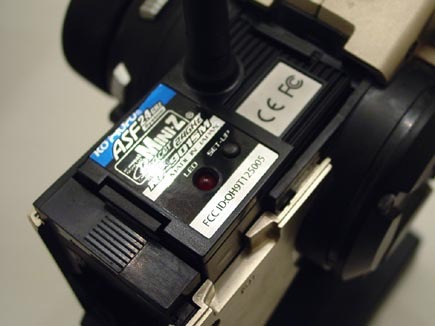 This is the dissasembled module. Be careful when pulling it apart. It should break down very easily. Remember the pins from the first conversion? We will do the same thing all over again. Now cut pins 2 and 3. Notice how pin 2 is only cut. On pin 3 we actually cut a piece of the pin altogether. Bend the top of pin 2 towards the bottom of pin 3. 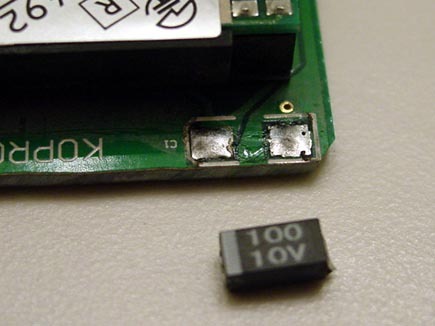 These are the two pins we will jump with some solder. THe connection should be nice and shiny. 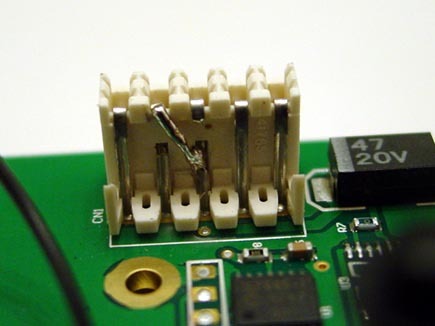 Notice how the bottom of pin 2 and the top of pin 3 have plenty of clearance of the 2 bridged pins. This is the additional step for this conversion. 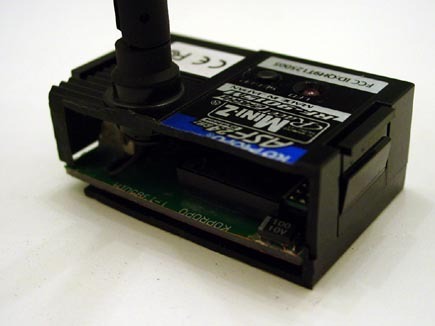 We need to move this diode a little bit closer inboard in order to cut the board narrow enough to fit the Futaba transmitter. 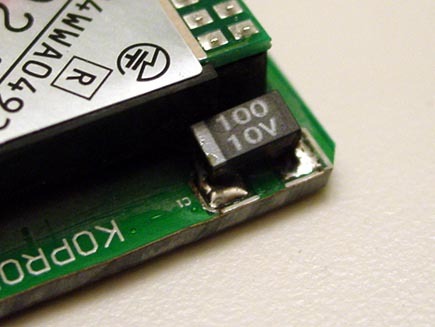 Notice how much closer inboard the diode is now. 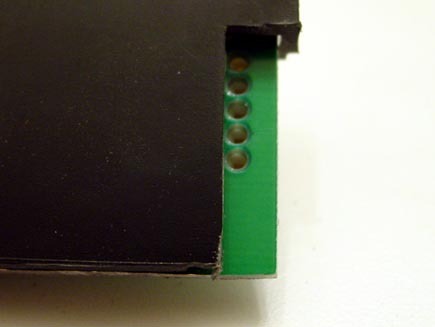 It is only soldered at the very edges to the board. 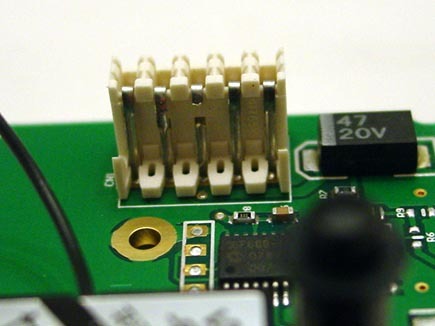 A good idea is to mount the diode at a bit of an angle so that it never shorts out against anything else on the board. 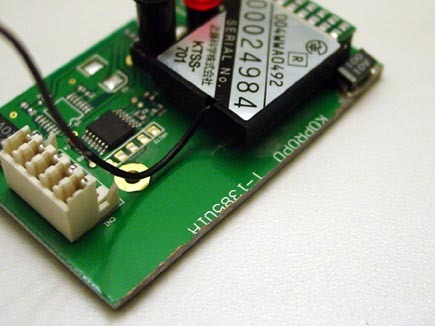 When mounted like this only the end that is soldered against the board is close to touching the board. Now we can cut the board in order to make it narrower. Notice how we cut almost a fourth of the KO Propo lettering. Don't be scared of cutting along here, there is really nothing on this side of the board except the diode we moved (be careful when cutting along it). We can now test the board for fitment in the case. We now have a good 4-5mm of case we can cut off. Typically, we will mark the case with a Sharpie or score it with an Xacto knife to know where to cut. This is the newly cut case. We are not quite done cutting at this point. A good option, although not necessary is to cut the corner off the case here. This helps out when you can't quite get the pins to line up perfectly. Another option would be to just enlargen the hole as well. Now is a good time to use some double sided tape to secure the board to the bottom of the case. 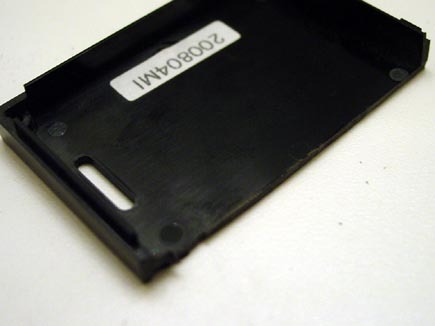 Use a couple of layers of tape and press it against the bottom of the case. 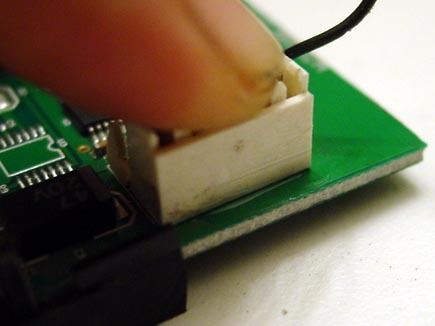 We like to use a couple of drops of superglue or shoe goo to secure down the plug onto the board. 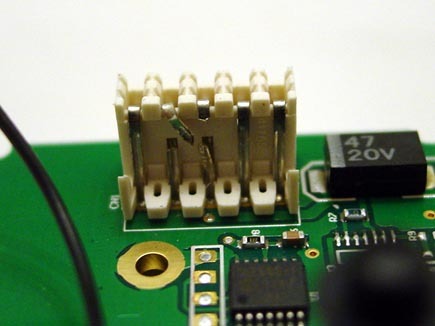 This really helps the module plug in better into the tight Futaba 3PK pins. After the glue dries, you can now install the top of the case on the module again. You will only have one screw to hold the board together. 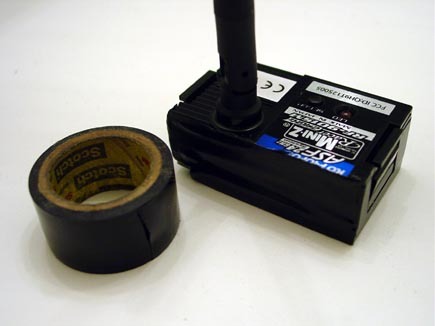 A good idea is to use some electrical tape or any flexible adhesive vinyl material to run around the case. 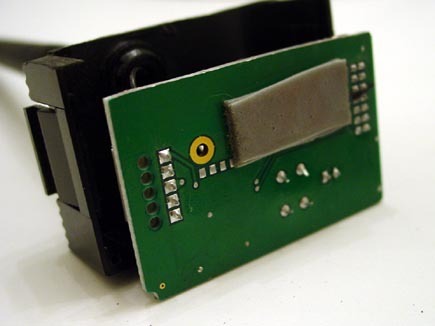 This will keep dust and debris out as well as make your module look a little bit better. That's it! Check out how nice it looks in the module bay of the 3PK. Now you can go buy yourself a whole bunch of 2.4GHz boards and convert ALL your Mini-Z's to Spread Spectrum!